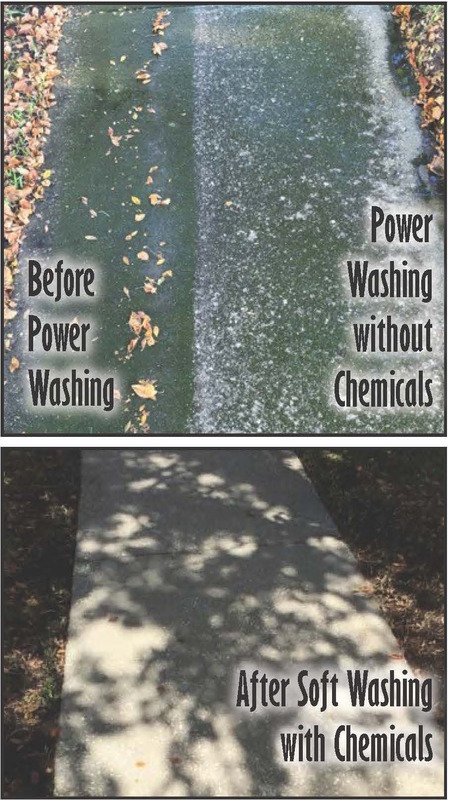 Pressure Washing vs. Power Washing vs. Soft Washing explained - The Pressure Kru, Inc.
Low pressure allows you to safely place your hand right in front of the spray tip and not damage the skin. (WARNING DO NOT TRY THIS AT HOME. If you are using the wrong tip you could severely injure yourself.) Soft washing (low pressure cleaning with chemicals) is preferred for cleaning home or business exteriors. It’s safer than blasting with high pressure and provides a superior quality job. Soft washing can remove any tiger stripes or swirl marks. There is a time and place to use high pressure. Such instances are cleaning unfinished concrete, unpainted block or your street curbs. Even then soft washing chemicals will be applied to remove mold your pressure washer leaves behind. If you have used a surface cleaner then you have most likely seen the swirl marks or stripes they leave behind. These marks are created by using the wrong tips or by walking too fast when cleaning. Most DIY’ers end up disconnecting the surface cleaner only to use the wand to finish the job. Hot water pressure washing will not remove that oil stain in your driveway. There are a myriad of different commercial grade degreasers on the market that claim to remove oil stains. Pressure washing or degreasers alone can not easily remove a set in oil stain. There are plenty of pressure washing companies that actually have the words “Power Washing” in their company name yet their rigs do not have visible burners installed. I get it “power washing” sounds like you are working harder, but 99% of the time most of us are simply pressure washing. I agree that hot water power washing will effectively and quickly remove chewing gum but unless you are frequently cleaning high traffic shopping centers, there is no need for a power washing unit.